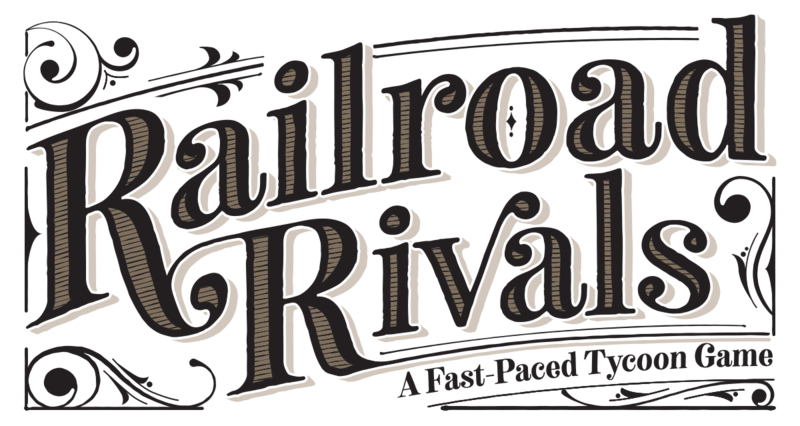 Railroad Rivals is a fast-play tile drafting and laying game, where you build a Railroad Empire that stretches across America... and across your table. 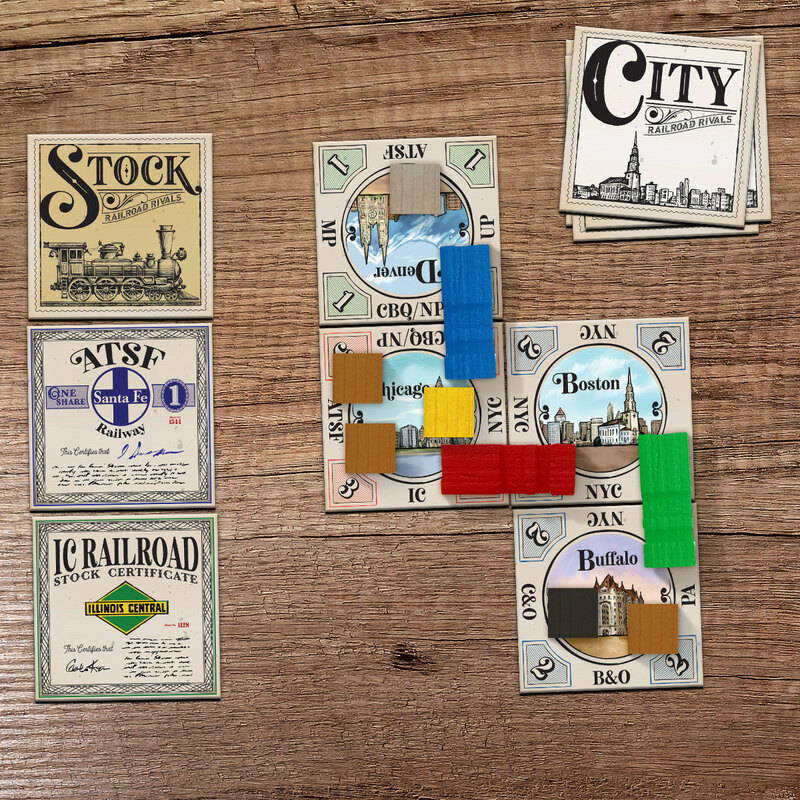 While playing Railroad Rivals, you connect cities via one of the twelve great railroads that stretched across America, while simultaneously building your stock portfolio. You’ll then use those railroads to make deliveries to drive up the price of your stocks. At the end of the game, the player that has run the most profitable railroad while also owning the most valuable stocks will become the greatest of all of the Railroad Rivals! Head to Kickstarter to become a backer today! !